€70 Carphone Warehouse Gift Card. Technically, it’s an amazing reward. Get connected with a €70 Carphone Warehouse Gift Card to spend on any products available in-store and on carphonewarehouse.ie. Choose from the latest mobile phones, tablets and accessories at Europe's biggest mobile phone retailer. Click ‘Redeem’ and your €70 Carphone Warehouse Gift Card will be sent by post to the address that you have registered with Dulux Trade Points. Please allow up to 10 working days for delivery. 1. 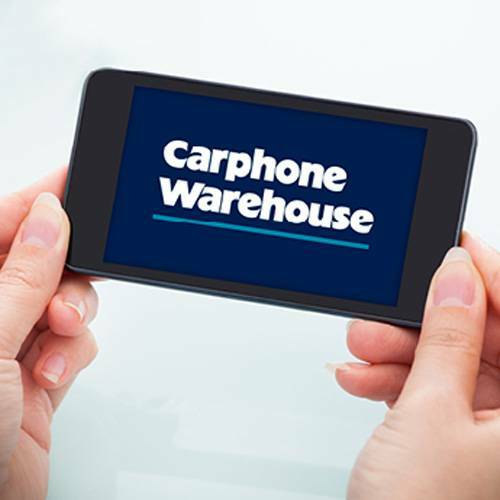 Offer is valid for one €70 Carphone Warehouse Gift Card. 5. Risk will pass to the customer upon delivery. Neither Dulux nor TLC Marketing can be held responsible for lost, stolen or damaged Gift Cards following delivery to the recipient. The Gift Card will NOT be replaced or refunded if lost, stolen or damaged. Neither Dulux nor TLC Marketing is responsible for gift vouchers used without your knowledge. 6. Carphone Warehouse Gift Cards cannot be exchanged for cash and cash refunds will not be available for products purchased with this voucher. 7. Gift cards which are defaced, altered or cancelled will not be accepted.